It’s getting cold ladies, which means it’s time to break out the protective styles. Keep those ends moisturized and tucked away. Here are a few hairstyles that not many people know about but are beginning to stir up some attention. Now we all know the classic protective styles that we see throughout the year. 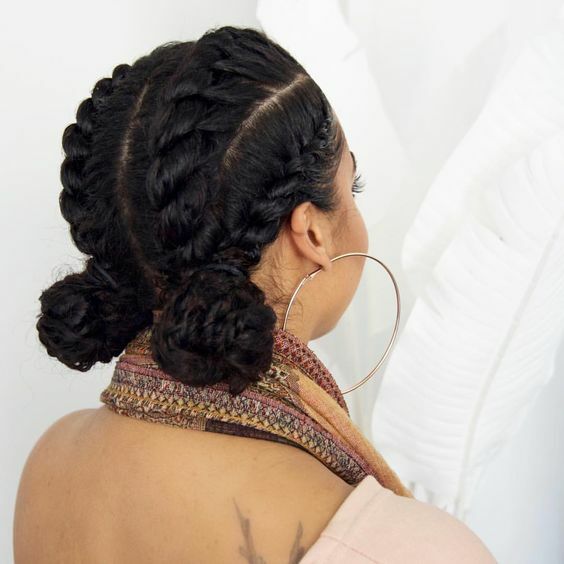 Box braids, Havana twist, Weaves and etc., but the time has come to shake things up. Whether you been natural for three years, transitioning, or recently did the big chop all these hairstyles are simple and stylish. Use all natural products, read labels! To add a bit of flare and individuality to any hairstyle add hair clips, charms, hair wire wraps and etc. Keep those baby hairs laid and those braids wrapped in a satin scarf. This isn’t even half of the possible protective styles to rock during the winter months. With the New Year, finally, here we want long hair, glowing skin, healthy eating and blessings. We left the basic styles in 2017, let’s take some risks and add something new to the natural hair game. Or, if you’re trying to save some coins, get on Youtube to find to find a tutorial that you can try yourself. Nothing is off limits … now go forth and prosper!